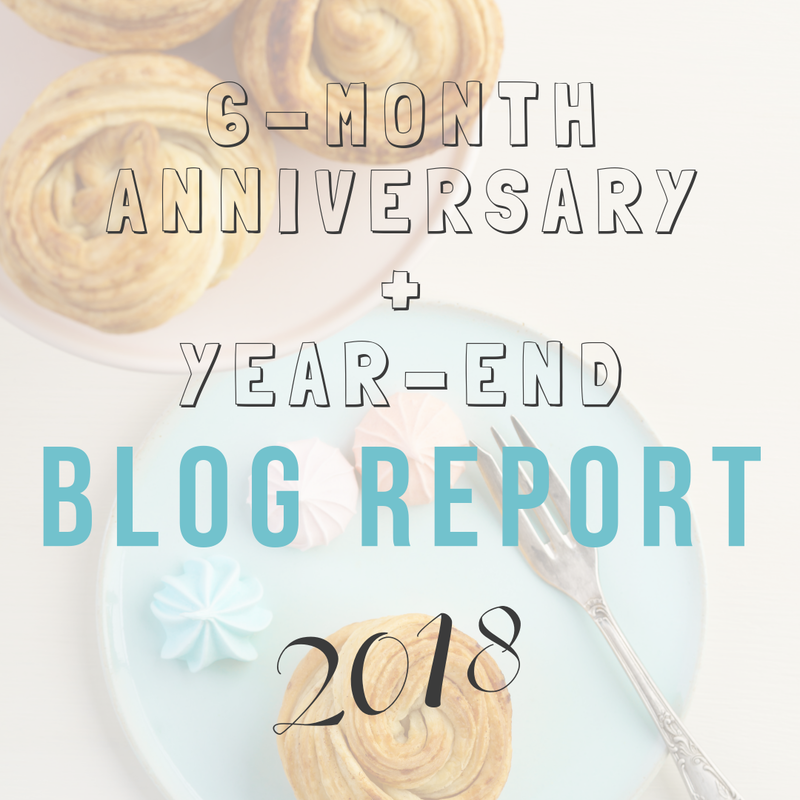 The Side Blogger is a little over 6 months old, can you believe it? If I were to list the highlights of 2018, this blog would be among the top 3. I don’t know about you, but to me, this all feels a bit surreal. I figured this is a good time to look back and see how far things have come. Without further ado, let’s jump in! This blog lives up to its name. “The Side Blogger”. I’ve been working on this at a snail’s pace on the side while also studying and freelancing (as a web designer and developer) and writing on Medium. In terms of accomplishments (which I’ll list below), this may not seem much to you, especially if you’re used to blog income reports that go into 6-figure profits, but trust me when I say this — for me, working no more than a few hours a week, this has been BIG. But more than what I’ve earned in terms of monetary value, I must say, the things I’ve learned since I started blogging have been monumental in terms of personal development. And there were some very pleasant surprises too along the way which made this blogging journey totally worthwhile. So, how did the last six months pan out? I haven’t been very good at my attempt at publishing two blog posts a week, but considering all that’s been going on in my life, the fact that I’ve been semi-consistent at publishing at least 3-5 blog posts a month, I’ve decided to call it a success. Typically, I’m bad at sticking to things that don’t provide instantaneous value — either financial or emotional fulfillment. But this blog has taught me to be patient and keep my eyes on long-term benefits instead of chasing after short-term highs. I’ve also been designing a lot! Because of this blog, I’m now designing social media graphics, printables, media kits, planners and what not, almost on the daily. My design skills have definitely improved quite a bit, as well as my technical skills working with Photoshop, Illustrator, InDesign, and Canva! Speaking of Canva, something amazing happened back in October. Canva reached out to me out of nowhere and bestowed me the title of “Canva Certified Creative”. In other words, I’m now a Canva ambassador. How cool is that?! I can honestly say that this particular accomplishment has everything to do with the blog. If it hadn’t been for The Side Blogger, I wouldn’t have been so active on Canva, my design skills wouldn’t have improved as much as they have, and there wouldn’t be this sweet title — a new addition to my creative resume. Last but not least, I’ve connected with more people than I have in my entire life! All thanks to this blog. Every day I reach people I do not know personally, and I get to make a difference in some of their lives. I’ve had readers reach out to me, thanking me for the things I’ve shared. I know what I share isn’t much in the grand scheme of things, but still, it’s better than nothing! 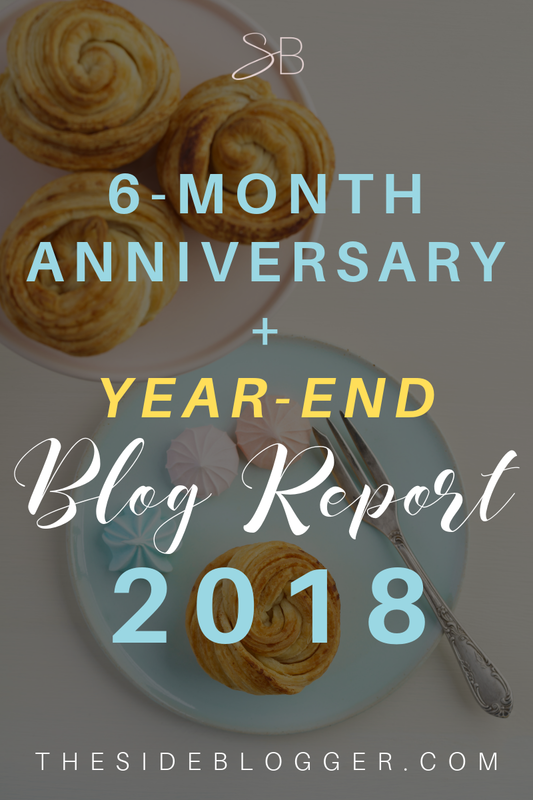 Google Analytics report: A comparison between June 2018–my first month of blogging, to November 2018–my sixth month of blogging. OK, so my traffic didn’t go off the roof during my sixth month of blogging, but hey, like I said, I’m only a side-blogger. So this ain’t so bad, k? 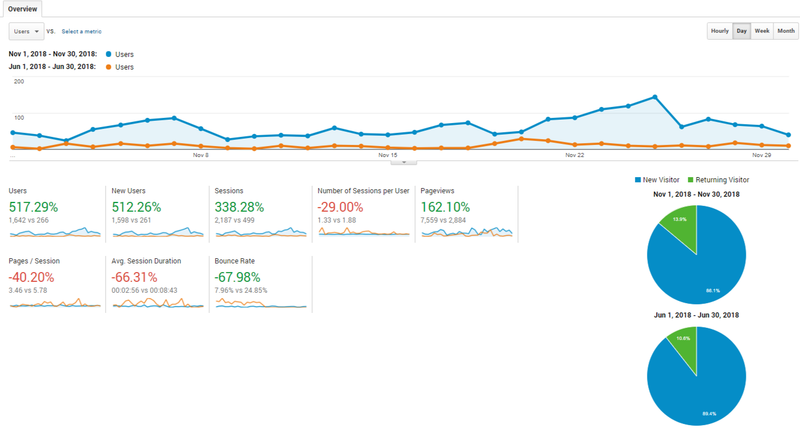 1,642 users in November vs. 266 in June, and over 7K pageviews in November vs. less than 3K in June. Not too shabby. OK, OK, the pageviews could be better, and I know I need to up my game and start publishing more [high-quality] blog posts already, but give me a break. It’s only been 6 months! OK, so not much of an impressive number there either, but still, remember blogging is a game of patience and perseverance. Also, I have been focused on content creation rather than selling. So there’s that. I do plan to double down on affiliate marketing (my preferred method of income on this blog) come 2019, but more on that later. There were a lot of miscellaneous expenses and fees, and I haven’t really kept tabs as most of these are shared between this blog and my freelance business (such as website hosting fees, Adobe subscription, to name a few). Regardless, for now, I’ve decided to focus on the earnings only in an attempt to keep myself motivated, hah! $468.20 over 6 months from a brand new blog. In the spirit of total transparency, it’s not too bad! Man, I don’t know how this happened, but I think I’ve really found my rhythm with Pinterest. Practically all my traffic these days come from Pinterest. And while I’m struggling with writing posts and what not, I do try my best to stay on top of my game on Pinterest. Every. Single. Day. In fact, I plan to revamp my old Pinterest post with all the new tactics I’ve been implementing, along with a detailed workbook for you guys, in case you want to emulate what I’m doing. That’s next on the agenda, and hopefully, I’ll get to it before the end of this year. Two of my blog posts (this and this) were shared over a thousand times on Pinterest and social media, combined. Reached 1K+ followers on Pinterest. Made 11 sales in the Blog Shop to date. Received 29 comments on blog posts to date. back in November, I made some plans for The Side Blogger. I’ll try to continue working towards those goals. Just to give you a refresher, I plan to post 2 blog posts per week (I’m really struggling with this one… gotta up my game there), create one new opt-in freebie per month, and two guest posts by the end of February. Aside from that, I plan to create a couple of free and paid courses and guides come 2019. The one that’s in the planning process now is a short, free, course on “Design with Canva for Bloggers”. I’m planning to create a paid course to follow up the free course for those who’re interested in learning more about design in general with Canva, along with tips for starting a Canva template shop, just like the one I have here. Details on that will follow soon to my email subscribers. (So, if you’re interested, please subscribe to my email list below to stay in the loop). Well, that’s it, guys. It’s been a ride, one I don’t regret, and in fact, I’m looking forward to 2019 with great anticipation! If you’re not a subscriber yet, consider signing up for the newsletter. I share blogging tips, discount codes, and blog reports often with my subscribers. So, if you want in on the inside scoops, sign up! Thank you for blogging the blog. Love your honesty of realities of blogging world. I wish one day (soon enough) will have my own blog use your methods to success. Thank you so much for your kind words, appreciate it 🙂 PLease share your blog with me when you have it up. I’d love to read it!